3 Bedroom end terrace property close to local schools and shops. 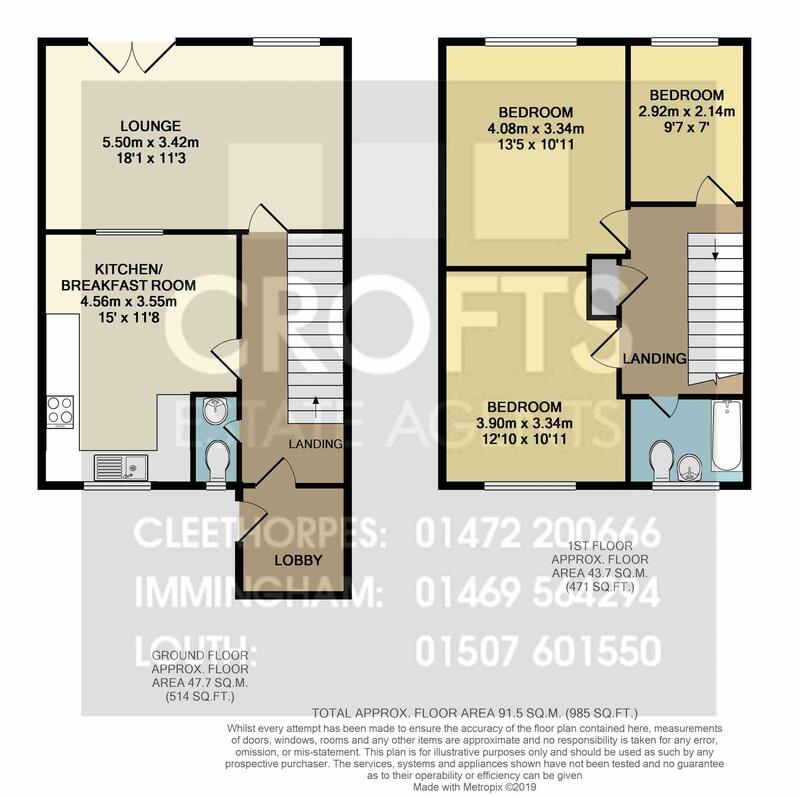 Comprising utility room, hallway, downstairs WC, open plan kitchen with breakfast bar area. Spacious living room with French doors opening up to the rear garden. Upstairs has 3 good size bedrooms and family bathroom benefiting from shower over bath.